It was cause for celebrations this morning as residents in Saraga and Ragamuga and surrounding areas in Port Moresby’s South welcomed the opening of the New 6mile Saraga Market. 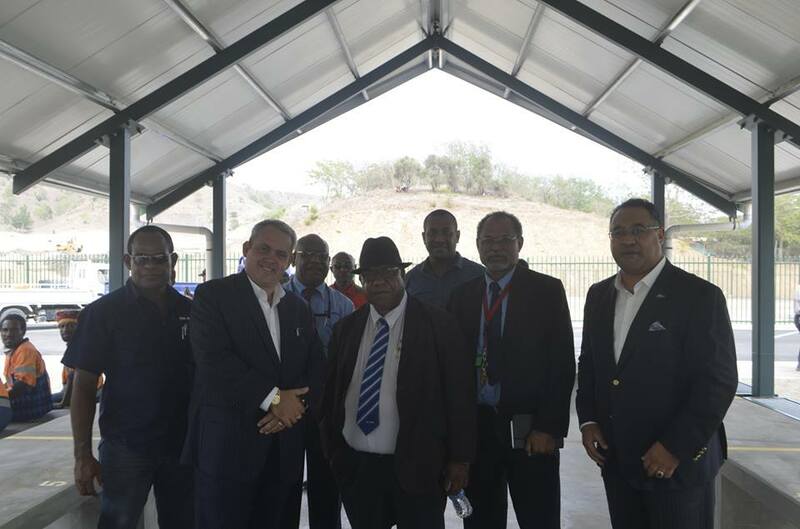 It was officially opened by Prime Minister Peter O’Neill and Member for Moresby South Justin Tkatchenko. The 6mile Saraga Market took an estimated 5 months to complete, at a cost K5million half of the monetary fund coming from the New Zealand High Commission in partnership with the National Government. The market is an open air plan and allows free flow of air and caters for up to 20,000 people with amenities such as water, electricity, public toilet, and a police station nearby and above all the market needs least maintenance which means it will last a lifetime.